Are you sleeping or just lying? It’s our focus to find the right bed or mattress for you so that you can recover by night and get fit for the day. With a high standard of specialist knowledge, you will be advised individually and according to your wishes. Get 15% off on every order! The concept of sleep counseling at HOME was developed 17 years ago together with physiotherapists and orthopedic surgeons. I’ve extended this concept to an integral concept, as I know from many years of experience that sleep disorders are often associated with various diseases. For me, the human being with all his wishes, needs, complaints and previous illnesses is in the focus. Through the individual education taking place at the sleep counseling about facts and findings from research you should be able to recognize the connections. For example, that active processes in deep sleep promote fitness during the day. The following body analysis allows me to accurately determine the necessary sleeping arrangement together with a suitable pillow and accessories, such as covers for mattress and pillows and a suitable blanket. Whether you are interested in a product from our product range Living or Sleeping, we’ll take the time to provide you with competent and individual advice. We work closely with a certified physiotherapist and sleep therapist to find the perfect bed for you. We are pleased to give you advice free of charge and without any obligation also at your home – whether you are interested in custom-made furniture or a sleeping system. If you are not mobile, we offer a free pick up service. We also offer appointments early in the morning or after 6.30 pm (within the statutory opening hours). Our individual sleep analysis and ergonomic advice takes about 2 hours. We’ve visited Heike Zimmermann in July to talk about our problems with sleeping and waking up with several aches and pains. Her knowledge and expertise convinced us. 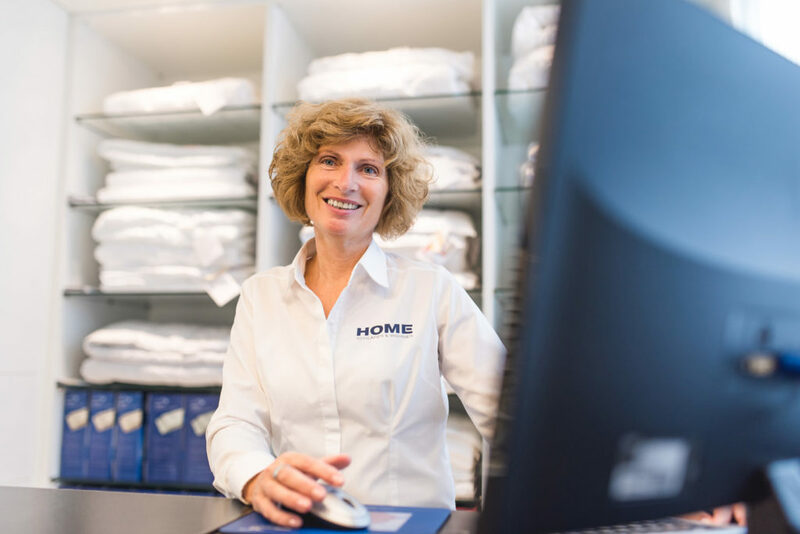 After laying down on different mattresses and bed systems in her nice and well equipped showroom, our bearing analysed by Heike, we decided to get the complete package. It took us (our bodies) a couple of weeks to get used to it, but now we really look forward to go to bed for a good night sleep and wake up refreshed to be ready for the day ahead. A reliable delivery goes without saying. All in all this purchase is worth every penny and we have an easier, happier life now because we get proper recreativ sleep. Thank you! Good professional advice and smooth build up service. Good investment in an individual sleeping system and reclining furniture to relax. Arguments to support retail in Erkelenz. 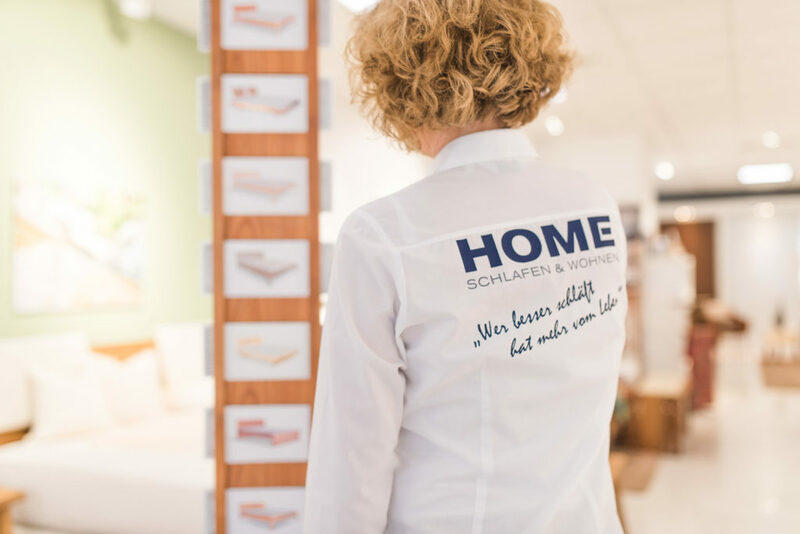 Centrally located in Erkelenz and easily accessible from Dusseldorf, Mönchengladbach, Heinsberg and Aachen, Mrs. Zimmermann is looking forward to your visit and will advise you competently in the field of sleeping systems from Werkmeister, upholstered beds, solid wood beds, boxspring beds, accessories for the bed and furniture made to measure.